The Crane Resort is the Caribbean's first resort hotel. First opened in 1887, this truly unique property combines old-world charm and incredible natural beauty with a romantic sense of seclusion. With 252 luxuriously appointed residences and suites, this cliff-top resort looks out onto the powder pink sands of Crane Beach, named Best Caribbean Beach by USA Today’s Top Ten Readers’ Choice Awards. 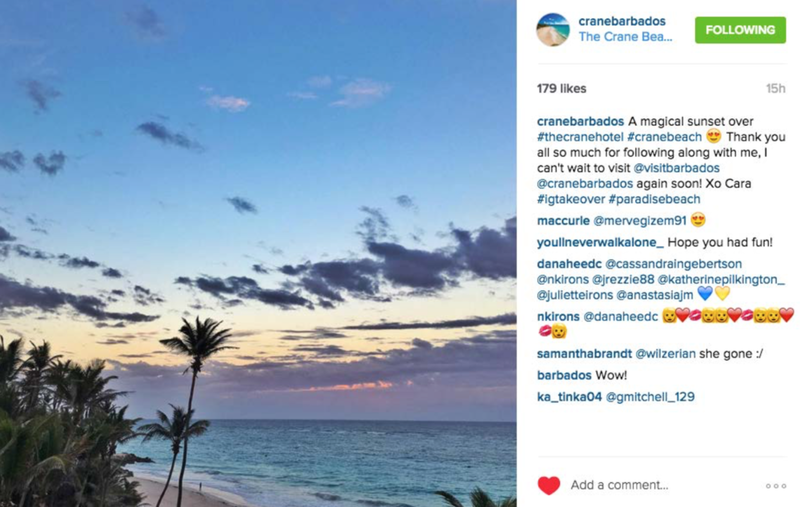 Expand The Crane Resort's social media presence in the competitive digital sphere. 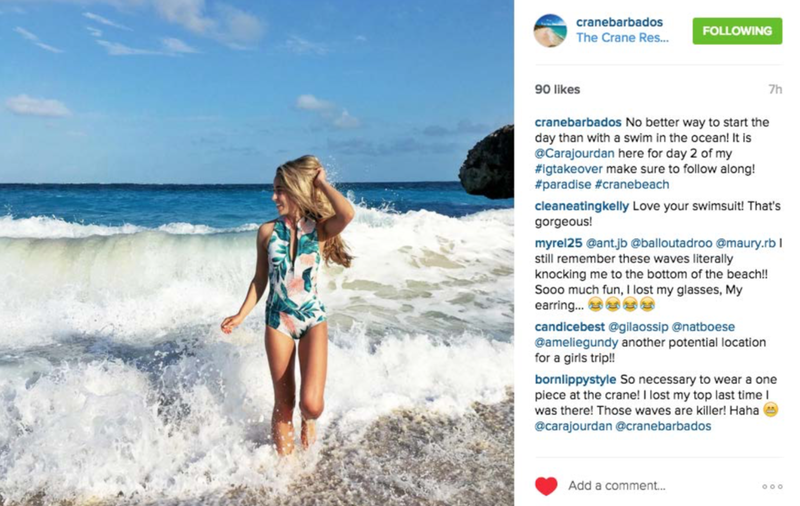 Siren liaised with both Barbados Tourism Marketing, Inc. and The Crane Resort to confirm a six-day stay in Barbados for Cara McLeay of A Fashion Love Affair, in exchange for an Instagram TakeOver of The Crane Resort's Instagram account (@cranebarbados). 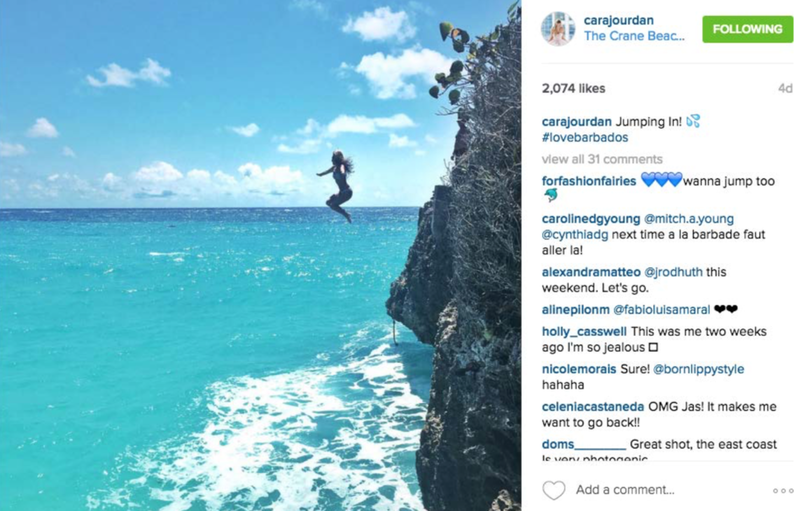 During her TakeOver, Cara posted eight photos of the resort using geo-tags, and tagging @visitbarbados and #ilovebarbados on all posts. Eighteen BTMI-related photos were posted to her personal Instagram account (@carajoudan). In addition, Billabong Women's (@billabongwomens) posted two @carajourdan photoshoot images to their Instagram account, tagging @thecraneresort and @visitbarabdos. • Over 1.5 million total digital impressions generated. •28,286 combined Instagram Likes and 400 combined Instagram Comments. •Cara published 2 blog posts to A Fashion Love Affair (UMV: 10,000), featuring 31 combined images from her trip. 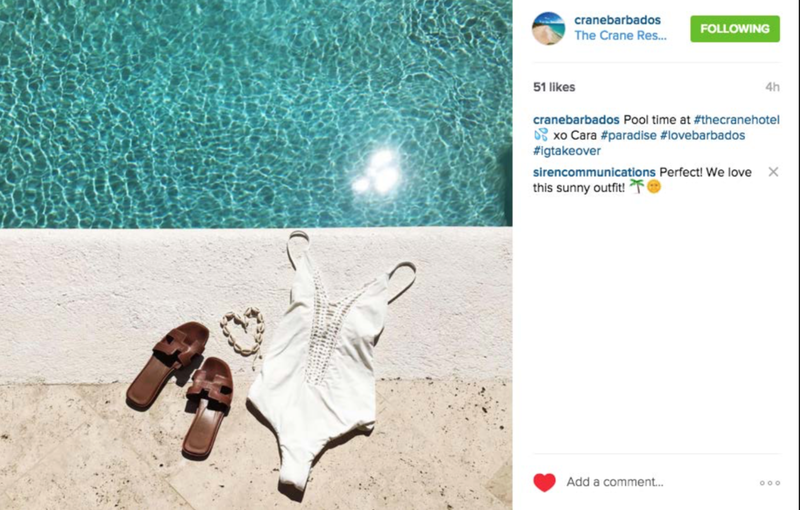 •The Crane Resort saw an increase of over 100 followers during Cara's TakeOver period.